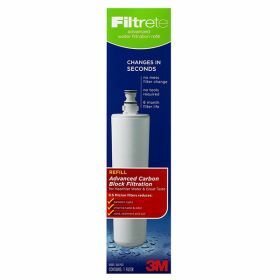 The replacement filter cartridge Filtrete 3US-PF01 fits on the under-sink water filter Filtrete 3US-AS01 and has a capacity of approximately 7500 liters thus lasting for about 5 to 6 months, depending on your water quality. 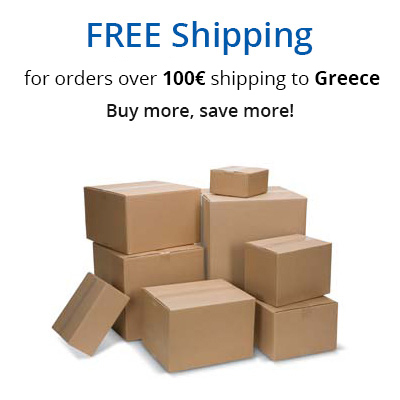 The filter reduces sediment, including sand, silt, particulates, rust and parasitic cysts. It also reduces chlorine taste and odor. The system is tested and certified by NSF International against NSF/ANSI Standard 42 for the reduction of chlorine, taste and odor. The life span of the filter depends on the amount and quality of the water filtered. It is for domestic use only and should not be used with water that is not biologically tested and not safe to drink. 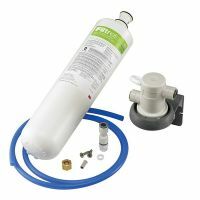 The Filtrete under-sink water filter includes filter head assembly, mounting hardware, plumbing connectors and 7.500 liters capacity water filter cartridge. 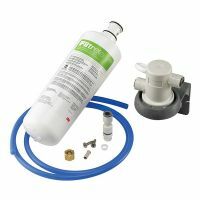 The filter reduces sediment, including sand, silt, particulates, rust and parasitic cysts. It also reduces chlorine taste and odor. The Filtrete under-sink water filter includes filter head assembly, mounting hardware, plumbing connectors and 7.500 liters capacity water filter cartridge. The filter reduces sediment, including sand, silt, particulates and rust. It also reduces chlorine taste and odor.